Yamaha has launched the 2019 Yamaha FZ Fi v3 in India at Rs 95,000. While the FZ-S Fi has been priced at Rs 97,000. Both the motorcycles are offered with ABS as standard which is a part of the mandatory rule for all motorcycles above 150cc that will launched this year. 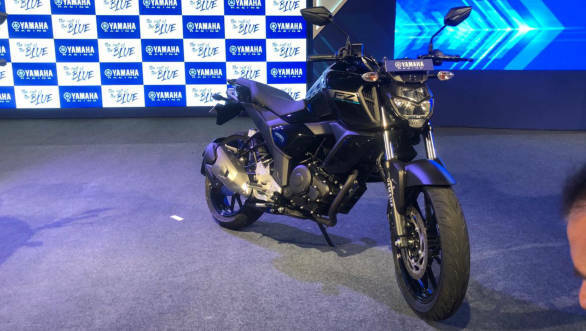 Yamaha mentions that the both these motorcycles retain the 149cc single-cylinder fuel-injected four-stroke engine, they now feature new subframe, new engine settings, single channel ABS and rear disc brake along with other comfort and styling based changes. The 2019 update features a LED headlight with separate housings which should offer better illumination than the present setup. The fuel tank looks beefier than before. The tank extensions underneath look much larger than what's offered on the present offering. The other design changes include a belly pan, single seat, new alloy wheel design and an updated exhaust can. Also, the instrumentation has been updated with more features. Yamaha has also added a new rear subframe that could offer better handling than the previous version. The handle bar position has also been raised which improves its touring capability. The 2019 Yamaha FZ-S Fi comes with a lower engine fairing, partly chrome finished air intake and new colour options to choose from. The 149cc engine has been tweaked with better compression ration of 9.5:1 that makes 13.2PS of power at 8,000rpm and generates 12.8Nm of torque at 6,000rpm.